Montblanc brings to the Geneva watchmaker SIHH 2017 new, completely revised models in the line TimeWalker. Chronos chief editor Rüdiger Bucher spoke with Montblanc boss Jérôme Lambert. Mr. Lambert, you present five new, sporty models in the TimeWalker line. 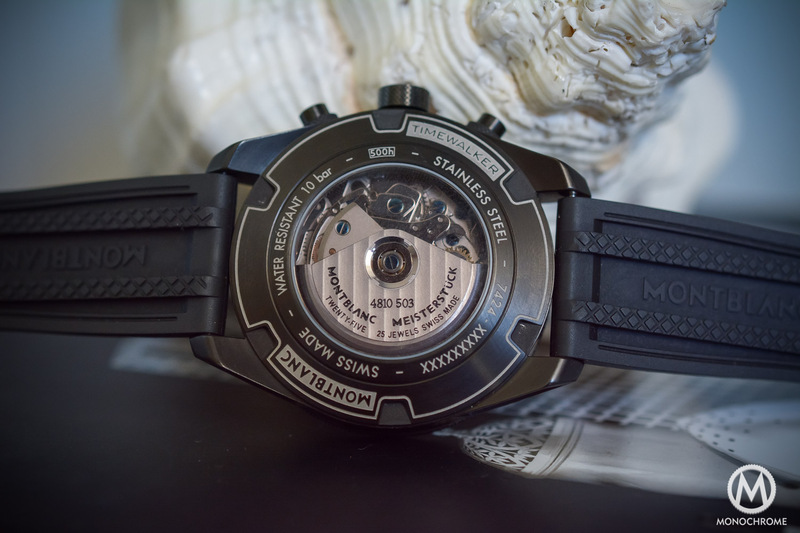 Does Montblanc now place greater emphasis on sports-oriented customers? I would rather speak of a technical component than of a sporting one. If you remember: A few years ago, Montblanc had its own collection of sports, which no longer exists, as well as the lineTimeWalker. After the end of the line sport we have made the TimeWalker continuously more and more sporting. When you look at the new models, you’ll find on the one hand the typical DNA codes of the TimeWalker, such as the radially aligned Arabic numerals or the Dauphine pointers; we have also retained the basic proportions. On the other hand, a new housing architecture and more technical elements like the black ceramic rests are added. So no sports watches in the narrow sense? Not in the sense that you are running a certain sport with them. Our watches are not tied to a specific topic, like a diving watch.They are rather all-rounder; Companion for the day. You can wear it at work as well as afterwards in a more casual atmosphere. They are sturdy and most models are waterproof up to 10 bar. At the same time, they are elegant enough not to be dropped in the evening.We have adapted to the lifestyle of our customers. They already appreciated the earlier TimeWalker watches with metal tape for precisely this reason. In the case of watches, the use of the color red is the first – with pointers, inscriptions and indexes. This is known with TimeWalker so far from the Urban Speed ​​models. Part of the inspiration for designing the new watches comes from the Urban Speed ​​models, which is right. But the color code red is also found in earlier Minerva watches, which are also part of the Montblanc history. What are the main features of the new watches? You will find a lot of technical content here: The TimeWalker Chronograph 1000, limited to 18 copies, is able to stop exactly one thousandth of a second. This technique, for which we use our manufactory caliber MB M 66.26, had been used in the TimeWriter II Chronographe Bi-Fréquence 1000 five years ago. Then there is the Rally Timer Counter with a limit of 100 pieces: a 50 millimeter pocket chronograph with a pusher, which can also be used as a bracelet and as a table clock. In addition, we offer a chronograph with a second time zone, an automatic chronograph and a three-wheel automatic. However, the UTC chronograph with second time zone with Eta caliber 7754 does not have a separately adjustable central hour hand. This feature can be found in Heritage Chronometry and as a novelty this year in the collection 1858 and collection 4810. For TimeWalker, we intentionally wanted to offer a different technology, so that all our customers are available. In addition, there is also the World Clock Orbis Terrarum. Are there general trends in which you have oriented your design? Fewer. For us it was important to be present in all four areas of the market. These are classic watches, complications, ladies’ watches and finally technical-sporty watches. With the new TimeWalker models we are now also present in this fourth area. In the case of new products, we focus on a different area every year. How do you see the current situation in the watch industry? The crisis was not just a cause, and therefore there is not only one solution. I believe the market is now stabilizing.But we are still in a period of flat growth. And the market is now again depolarized. What does that mean? 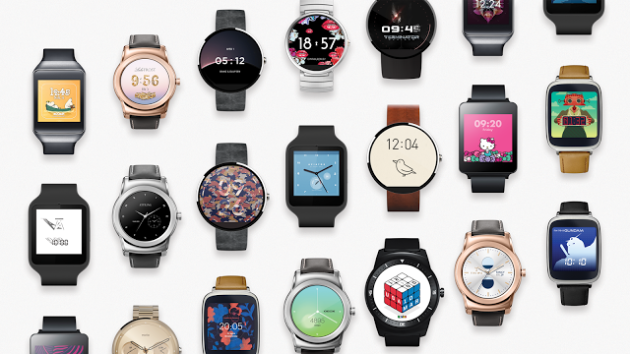 The watch industry is always in a totally polarized market for several years. Around the turn of the millennium, after the Asian crisis, there was a polarization on America: At that time, American demand carried almost all of the world’s growth. After September 11, 2001, the weights slowly moved to China. In the last few years, the polarization of Greater China, such as Hong Kong, China itself, other small markets like Macau and Taiwan, as well as the numerous and buoyant Chinese tourists worldwide. This is now over, many markets like Europe, USA, the Middle East are now again more important. What are the right recipes for a watch brand after the difficult year 2016? There is not the one recipe. This depends on the respective brand. Each brand has to work out its values ​​and its strengths more clearly and address the needs of its customers. And this is a good value for money. So that would be the recipe for Montblanc? Yes. The new TimeWalker models tell a lot about our history and Minerva. And as far as price is concerned, we offer, for example, an automatic chronograph, which despite its high-quality equipment with ceramic bezel remains below 4,000 euros. This makes it significantly less expensive than the old TimeWalker chronograph with a black coated stainless steel case and the same movement (Sellita SW 500), which costs 5,350 euros. I agree. But you can also get the TimeWalker Automatic Date watch with ceramic bezel for less than 3,000 euros. On the other hand there are also limited editions, which cost five- or six-digit sums. Can the customer have a clear picture of the brand? Our customers have a good understanding of the different products that a Maison like Montblanc offers. This understanding has grown over the years. Customers buy a brand, yes, but at the same time they look at the counter value and are very aware of what they get for their money. And our watches have the price, which makes their value, with all the trimmings. 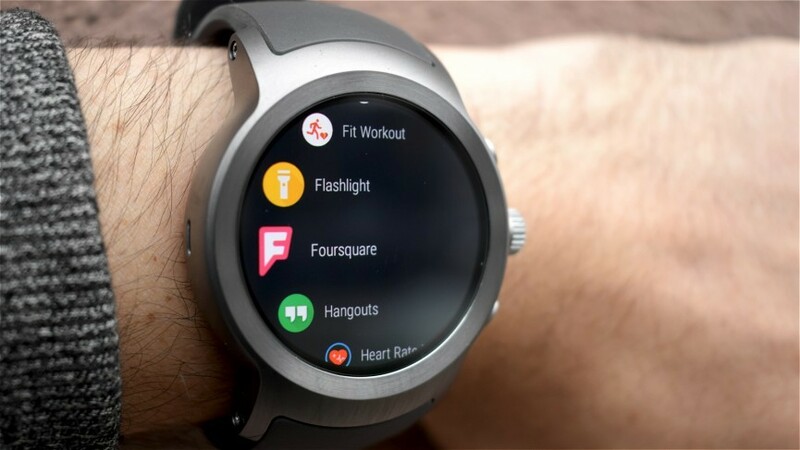 Android Wear 5.1.1: What’s New for Smartwatches?